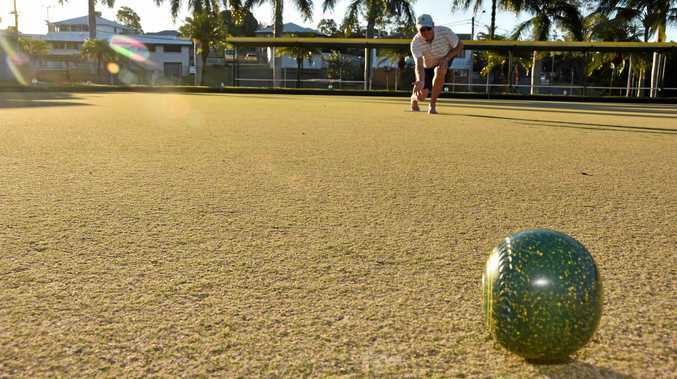 UPGRADE and expansion plans to Gladstone Anzac Memorial Bowls & Citizens Club Inc remain in the dark after the club was left "disappointed" by a council decision regarding its lease renewal. The club had been delicately negotiating with Gladstone Regional Council after its previous 50-year lease expired in 2016. The council decided to offer the club a 10-year plus 10-year plus 10-year lease. However, club chairman Graham McVean was first told of the decision by The Observer and is yet to receive an official response from the council at this stage. "We're flying in the dark in relation to making a comment other than we're disappointed with that decision," he said. "It doesn't give us the scope to go ahead and plan a multi-million dollar redevelopment." The bowls club's preferred option was for the council to relinquish the trusteeship of the land and allow the state government to assign it to them. Its next option was a 25-year lease with a 25-year option in the club's favour, while a decision by the club earlier in the year to remove its six poker machines enabled it to create further funding opportunities through grants programs. "At least with that our position when we go for these grants would be enhanced because we've got 25 years tenure and effectively 50 years with the option," Mr McVean said. "That's certainly better than a 10 by 10 by 10 because a 10-year lease is really no better than what we've got." 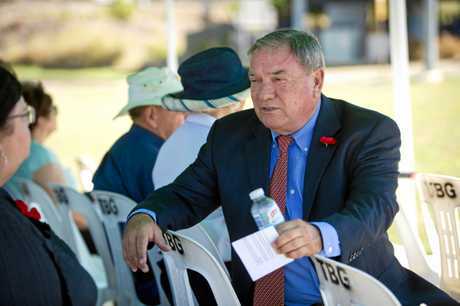 Last Thursday acting mayor Chris Trevor said "Council is excited at the proposed Gladstone Anzac Memorial Bowls Club & Citizens Club Inc. extensions and the new funding opportunities it has created for itself by removing poker machines". 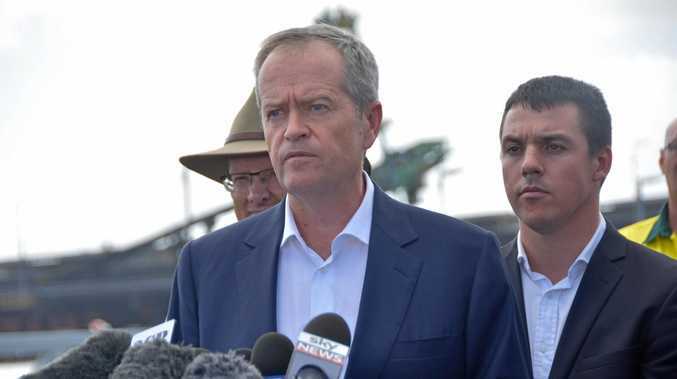 "The decision to remove the pokies enables the club to seek assistance from many grants programs that were not open to it while it had the machines on the premises," Cr Trevor said. "Council has given the club the stability it needs to plan for future growth by enabling Council CEO to negotiate a new lease agreement, inclusive of a 10-year plus 10-year plus 10-year lease on the club site. "This enables the club to pursue large-scale funding grants for the proposed upgrade of the clubhouse." Mr McVean said the decision to remove its poker machines had been well received. "At our AGM in February we believed the machines were costing us money and the poker machines aren't the environment that our members wanted to build the club into a family-friendly one," he said. "They were old machines and nobody was playing them. 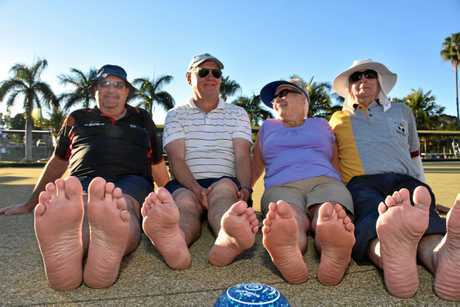 "Since we've gotten rid of them the club has not faulted, it's gone further ahead with our barefoot bowls, we have families coming in and no one has asked where they are." He said the club had had "good, open conversations" with the council prior to last Tuesday's lease decision. "I've had three or four very good meetings with (mayor) Matt Burnett," Mr McVean said. "If this is the end result of those meetings than our members are very disappointed." 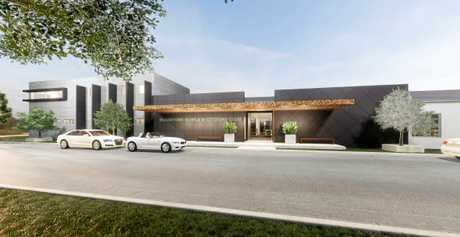 Meanwhile, concept drawings for an extension and upgrade have been made, including a total revamp of the Ferris St entrance, but remain on ice due to the lease decision. 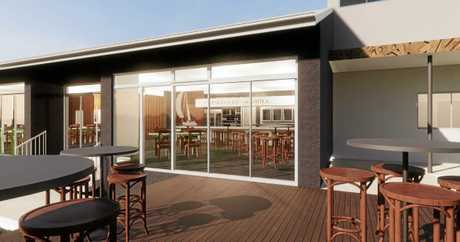 "It's clear to us the club is ideally suited as a wedding venue and functions," Mr McVean said. "We think with the new deck, new Catalina Bar and Grill and the modernisation of the kitchen, which has already started, we'll have a club that will serve the community for the next 25 years. "That's why when you're applying for a grant that's going to modernise the place for 25-30 years you want tenure over the property. "We just need to get over this hurdle with council."